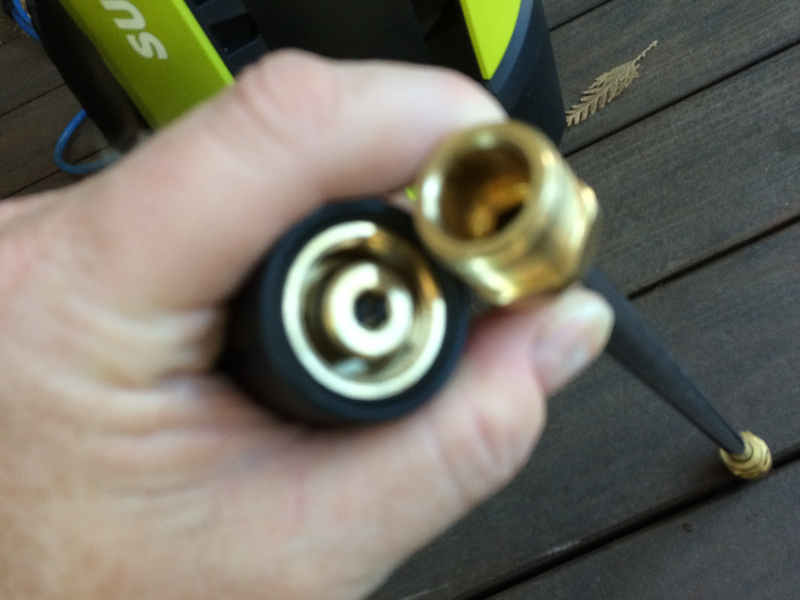 I have generally had to replace my power washers after not much more than two or three years of use. Arguably, this is because I buy ‘light duty’ electric washers: I suspect that a good quality gas power washer would last much longer. But I have no real need for a multi-horsepower gas monstrosity, and a ‘decent’ gas power washer is over $500. I wouldn’t mind paying $500 for a top quality electric: gas motors mean gas, oil, and regular maintenance, which seems silly for something I might use a dozen times a year. But ‘top quality’ electric power washers don’t seem to exist- just light duty ones. Over the years I’ve owned at least three (possibly four) Karcher washers, and one Simoniz. Karcher is purported to be a good brand, but I’m increasingly skeptical that their reputation for quality applies to their electric washers. 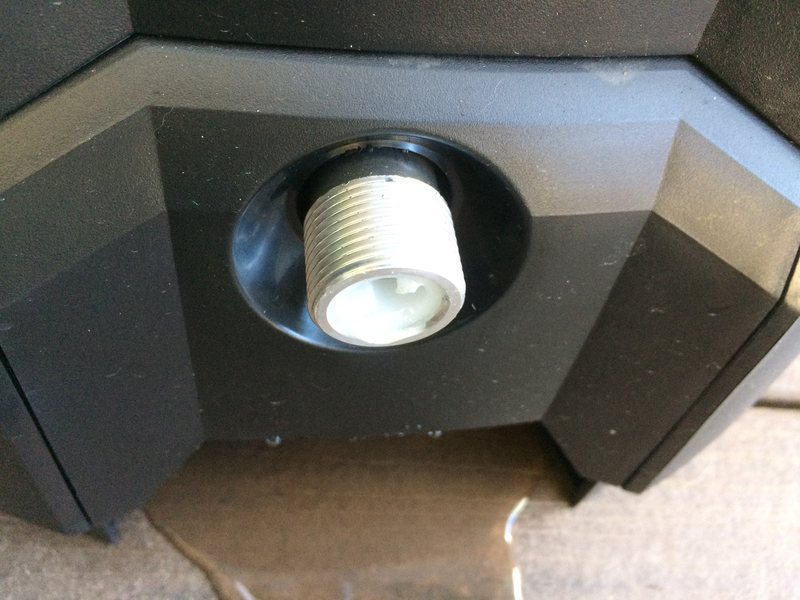 Every power washer I’ve owned has failed in one of two ways: either it has suddenly ‘spring a leak’ internally, or its motor has burned out. I know the ‘leaks’ are potentially fixable: seal kits can be replaced, for example. But the cost of the seals and the effort required to ‘refurbish’ the units hasn’t made sense to me in light of the cost to buy a whole new washer. There were several things that I didn’t like with this particular model right from the outset. First of all, the power cord ‘hook’ was basically useless: It wasn’t held on by much more than friction. Secondly, the machine was incredibly plasticky: wobbly, and kind of ‘junky’ feeling. I was not sad to see it go after it started spraying water internally. I initially looked at another Karcher, but none of the models looked any better than the one that had just died on me. 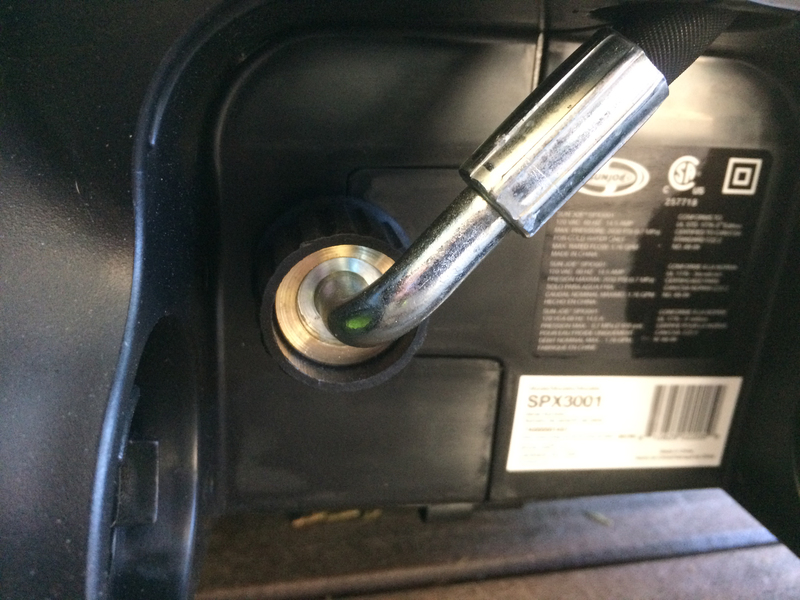 And I also looked at gas-powered washers: a couple in the $600 range interested me, but I thought about the hassle of fuel, oil, and maintenance and decided against them. Then I stumbled across the Sun Joe washer, and decided to take a chance. Sun Joe is the same company as Snow Joe, and I had purchased a Snow Joe battery-powered snow blower this past winter. It was serviceable enough, and I had read that the firm (like Karcher) has a good reputation. Ultimately, however, what made me choose the SPX3001 was that it looked somewhat hardier than the Karchers. I could see some actual metal in the pictures, something which was missing from the other electrics I looked at. 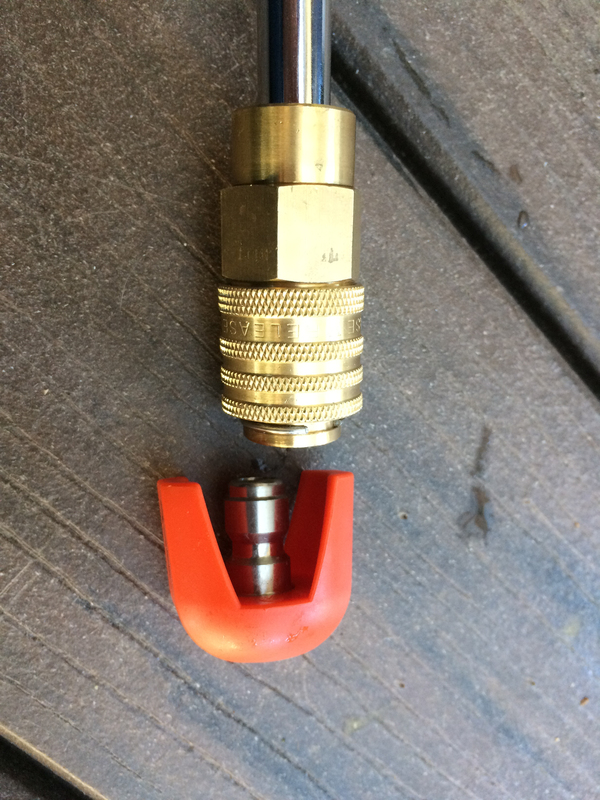 The advertising pictures of the SPX3001 were honest: it does actually have some metal, The power wand, nozzles, and connectors are all metal, as is the garden hose connector. And even the hose seemed more ‘serious’ than the Karcher: it is heaver, ‘wrapped’ rubber as opposed to cheap-feeling vinyl. Don’t get me wrong: I’m sure the internals e.g. : the pump are all cheap plastic, but at least some parts are made of more solid stuff. But even the plastic bits on the Sun Joe are more solid. The power cord hook actually has screws to hold it in place, as do the wand brackets. As for how it works: my experience is limited. So far, I can say that it seems to produce good pressure, and the pump seems to start and stop with more authority than the Karcher. Authority is probably the wrong word: what I mean is that the Karcher would sometimes turn off and on after I had stopped spraying, whereas the Sun Joe seems to only run the pump when I’m doing something. The truth is, there is no conclusion… yet. 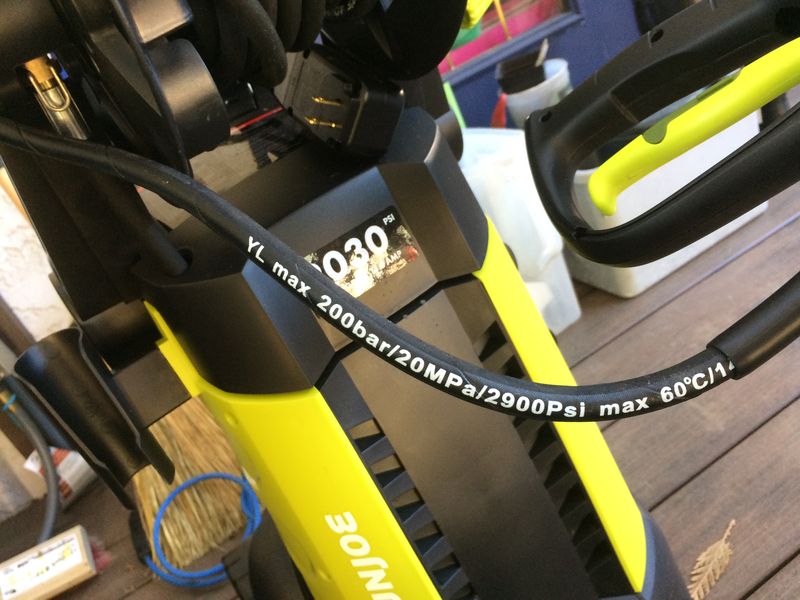 It will take at least three years of my normal use to see if the Sun Joe SPX3001 is a ‘keeper’, or another dud in my long series of less then stellar experiences with electric power washers. Having said that, the Sun Joe washer has a number of good qualities that I can’t say I’ve experienced with any of my prior electrics. Real metal fittings are a promising feature, and something I’ve never seen on an electric before. Certainly I can say it is heart warming to see a product that at least tries to come off as something other than cheap and kind of fragile.